The U.S. State Department has ordered hundreds of pounds of plastic explosives and thousands of containers of liquid explosives, WND has discovered, shipping them to the location of U.S. centers that typically send sensitive materials to overseas embassies. 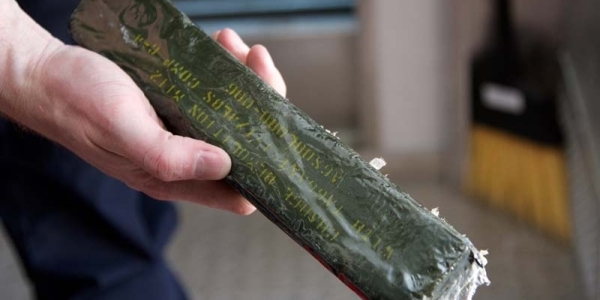 According to procurement documents WND obtained through routine database research, State recently put in four separate orders for high explosives – purchases accompanied by tens of thousands of feet of detonating cords with hundreds of blasting caps and fuse igniters. The ultimate destination of these products and their cost is unknown, but the government contracting office responsible for arranging the purchases has an address in Dun Loring, Virginia, site of a State diplomatic-security field office. The procurement documents likewise list the explosives’ shipping destination, or “place of performance,” as Sterling, Va., which is home to the Diplomatic Pouch and Mail Unit, or DPM/U, which is tasked with sending secure pouches and crates to U.S. embassies and consulates worldwide. Deliveries made through that unit are exempt from the same inspections, for example, that the U.S. Postal Service otherwise would perform. According to the unclassified and publicly available U.S. Department of State Foreign Affairs Manual Volume 14, once USPS delivers an item to this facility, that item technically is not considered mail and no longer falls under postal regulations and restrictions. The Vienna Convention on Diplomatic Relations, or VCDR, and international law “limit the use of diplomatic pouches to diplomatic documents and articles intended for official use,” the manual says. The VCDR, however, prohibits private airlines as well as the receiving host governments from x-raying or opening diplomatic pouches and crates, regardless of how they are marked or whether goods are transported into or out of that nation. This enables State to securely transport a variety of confidential, secret and top secret items as well as unclassified and sensitive but unclassified materials. If indeed the department complies with this prohibition, another option is to reroute the explosives by sea via one of several “consolidation points” known as Despatch Agencies, located in Miami, New York and Seattle as well as Brownsville, Texas, and Antwerp, Belgium. The Statement of Work requires the contractor to have a hazardous materials specialist on hand to perform these duties, which it would carry out at the government’s Lorton, Virginia, warehouse, at a contractor warehouse within 25 miles of that facility and occasionally at other State facilities in the Washington, D.C., metropolitan area. State says it needs these separate services because it is often impractical to consolidate shipments with other government materials. “Because of the number of diplomatic missions being supported, the diversity of the projects involved, and the security requirements, and host nation restrictions, consolidation of the shipments is not practical,” it says in the document. “Most shipments are of a high priority nature, which further complicates efforts to streamline the process of shipping by function or mission.